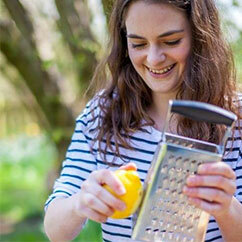 Things have been a little bit healthy for a while around here recently on the recipe front, haven’t I? And because the next few recipes I have ready to go online are also for lighter Summer eats, I thought it was time for something that was a little bit naughty. 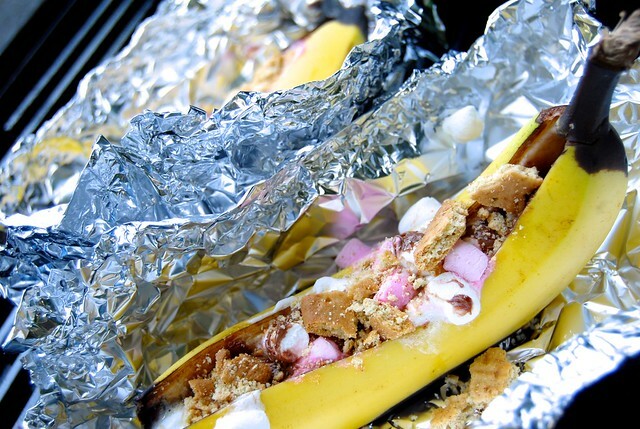 Another one of my ‘not really a recipe’ more of a foodie idea post, of what you can do with the last bit of heat from your barbecue, tin foil, a pair of bananas, a bar of milk chocolate, a handful of mini marshmallows and a digestive biscuit, all things you can typically have. 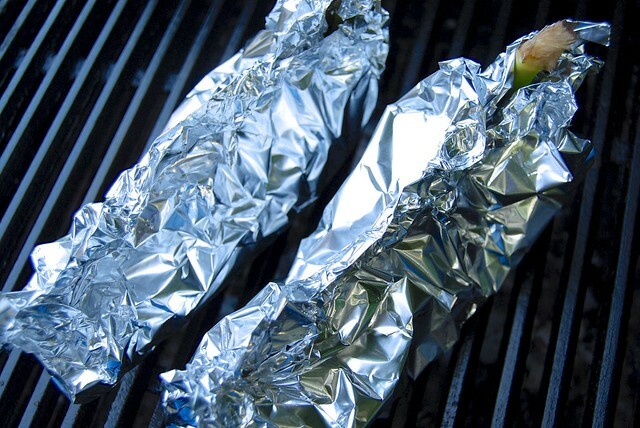 While you’re waiting for whoever is cooking the barbecue to work their magic, slice a pair of ripe bananas lengthways down the middle, being careful not to break the skin at the bottom for form a pocket. 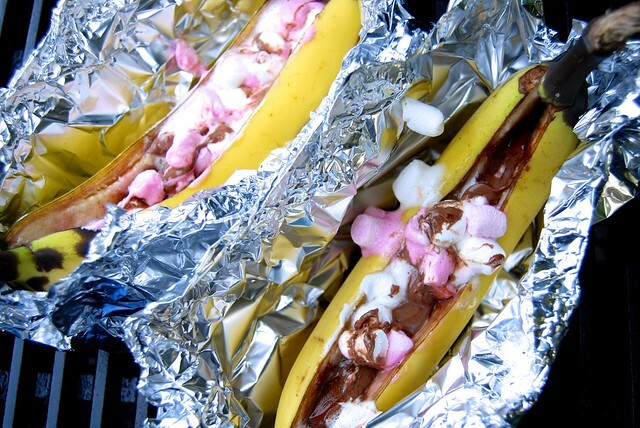 Stuff each banana with 1/2 a bar of milk chocolate (I use one of those small 6 cube bars of Cadbury Dairy Milk) cut into small pieces, and top off with mini marshmallows. 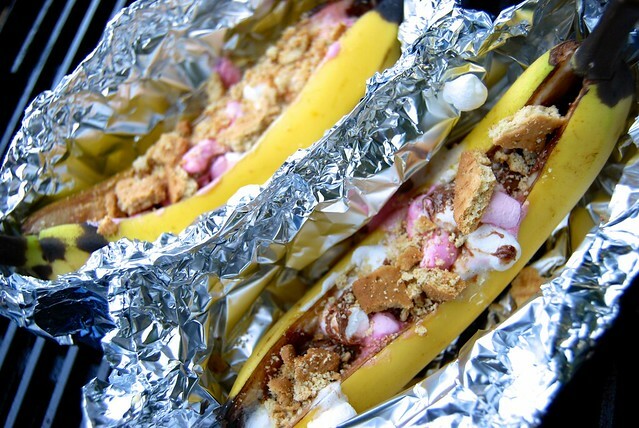 Wrap up and seal the foil around the bananas. 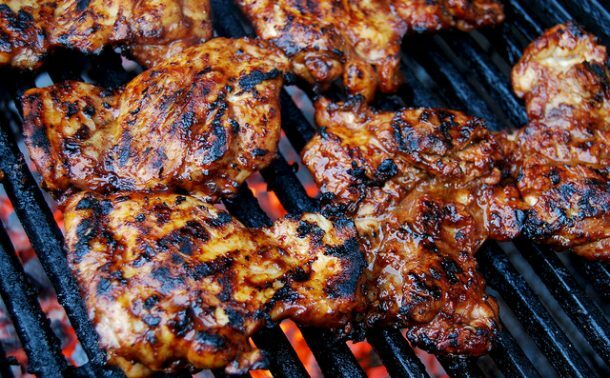 Place on the hottest part of the barbecue once the food has come off. 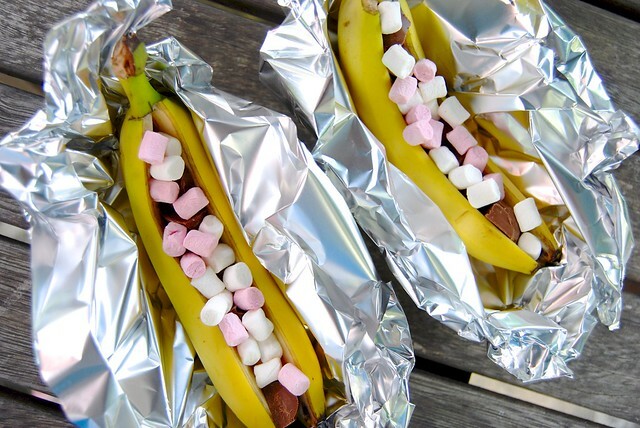 After you’ve enjoyed your meal and fancy dessert, your bananas should be soft and cooked, the chocolate molten and the marshmallows melted and puffy. 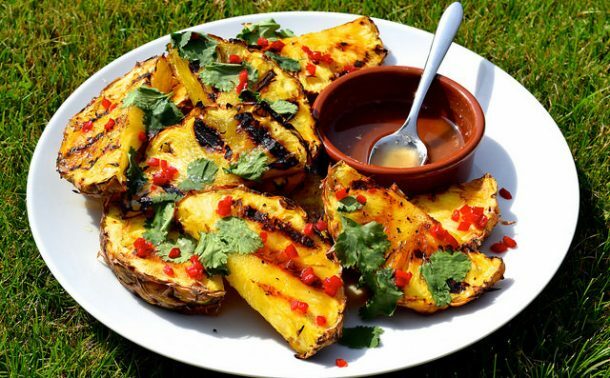 If you don’t have a barbecue, obviously you can make these in an oven or AGA too, which is also a great way to be able to enjoy them all year around. The final element of the classic, all American S’more after the melted chocolate and marshmallows, is the graham cracker they’re usually sandwiched between. There are so many recipes for homemade graham crackers out there for us Brits who can’t buy them, but to be honest they’re not all that different from, and interchangeable with our beloved Digestive Biscuit. One of these, or one graham cracker (half for each banana) should be enough crumbled over the top, just before serving to give it that edge of authenticity, as well as some crunch. 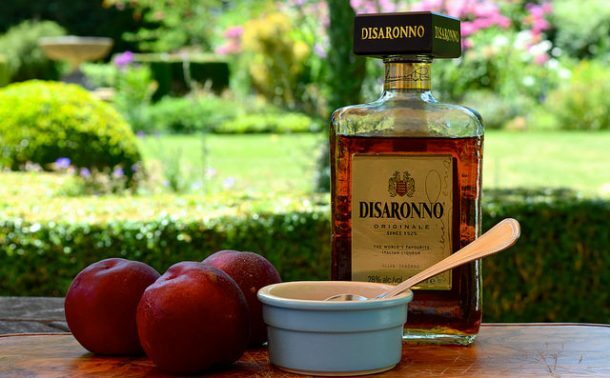 What are your favourite barbecue desserts? Brown sugar and rum bananas were one of mine as a kid, but I’m also a fan of peaches and nectarines roasted like this, and then served with a good big scoop of homemade vanilla ice cream.